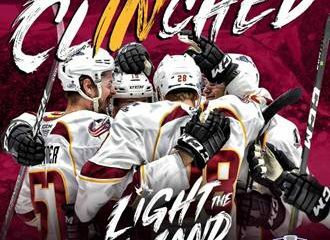 GRAND RAPIDS, MI – In the third of 12 head-to-head meetings between the two teams this season, Cleveland’s Lake Erie Monsters were defeated by the Grand Rapids Griffins in overtime on Saturday at Van Andel Arena in Grand Rapids, MI by a final score of 3-2. With the overtime loss, the Monsters are now 12-4-1-2 overall this season and with a .711 points percentage, are currently tied with the Rockford IceHogs for first place in the AHL’s Central Division standings. The Griffins took a 1-0 lead just 3:29 into the first period on Saturday when Mark Zengerle converted an even-strength breakaway chance. The Monsters tied it up late in the opening frame when Trent Vogelhuber buried his third goal of the season at 15:24, thanks to feeds from T.J. Tynan and Jaime Sifers. In the middle frame, the Monsters grabbed their only lead of the game when Nick Moutrey collected his second power-play goal in as many nights at the 7:00 minute mark with Tynan and Dean Kukan collecting assists on the play. With time winding down in the second, Grand Rapids leveled the score at two apiece when Eric Tangradi poked home a power-play score at 18:52. 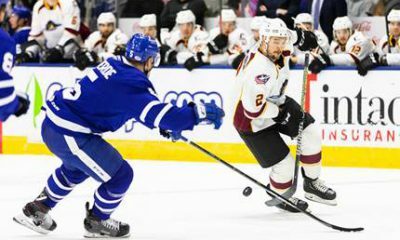 After a scoreless third period, the Griffins claimed victory just over two minutes into a three-on-three overtime period when Mitch Callahan zipped home a high-glove game-winner on a transition feed from Grand Rapids assistant captain Nathan Paetsch. Monsters goaltender Anton Forsberg fell to 7-2-1 in net despite a 29-save performance while Griffins backstop Tom McCollum’s 41 stops lifted Grand Rapids to victory. 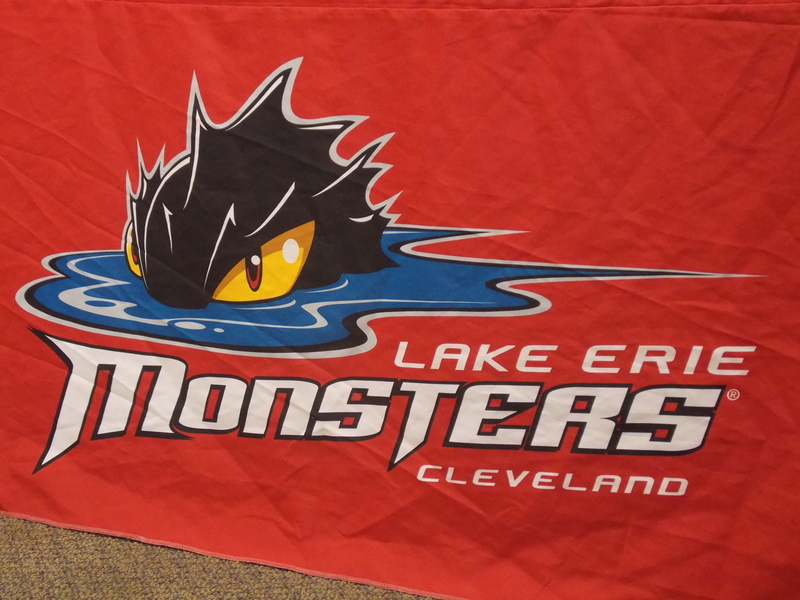 Next up for the Monsters, it’s a Thursday home clash vs. the Iowa Wild with full coverage underway from The Q at 7:00 pm on AM 1420 The Answer and the Monsters Hockey Network.